Probably the Best Locally Organised All Terrain Demo Event in the Borders! Bikeseven, the original and official Weehoo dealers. The Weehoo iGo child bike trailer tagalong is uniquely different to existing child seats for kids. The child is able engage fully in the cycling experience by peddling along with the main rider, it's like having a little turbo booster on the back of your bike! The Weehoo Blast is a great introduction to cycling and traveling per bike for 2 to 5yr olds. Free gifts with every Weehoo purchased from Bikeseven, the passionate distributor of Weehoo in the UK and Ireland. o your Child's Weehoo can be supplied by the original Cytech Certified UK Weehoo Dealer (est. 2009AD) - Our experience and service is your Peace of Mind! We pride ourselves in providing an after-sales service like no other. Not a monolithic boxshifter or supermarket - just a caring partner in cycling. Enjoy the ride. Bikeseven Cycle Service have developed strong relationships with major suppliers in order to present you with a wide range of quality Cycling products. many displayed in store and always available to order. For the best overview feel free to come in or browse our manufacturers' websites. Sites like Orbea.com or Scottsports.com allow you to make a selection on line with price and availability information on view. Bikeseven will then be able to provide you the actual bicycle professionally finished to our high standards. Reliable major brands with friendly local service and support, result: peace of mind / healthy body! 50% Off Sale! In-Store, Market Street, Accessories and Bikes! In 1977 the founder of KMC started to make his first chains. In 1996, KMC Chain Europe BV was established, in order to increase increase the service level to KMC's European customers, since 1999 they are based near Heerenveen (The Netherlands). 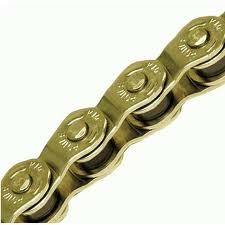 Today, KMC Chain Europe BV has 11 employees and supplies chains throughout Europe. Bikeseven Cycle Service bike shop with friendly service and distributors of bicycles and accessories in Carlisle, Cumbria. Be the first to see our latest deals and offers!